I am writing to you to tell you how profoundly sorry and heartbroken I am for being such a bad father who didn’t value and defend you as I should have. I ask you for your forgiveness for taking your life. I grieve now for the loss of you and the joy you would shared with me, your sisters, your mother and so many others. That selfish, unspeakable act took your life, and robbed us all of the memories we would have shared with you. I now see this loss left a huge gaping wound in all of us that is in need of healing by the One whose presence and love you have known for 24 years now. At the time your mother became pregnant with you, I had so many years before exchanged the truth of God for the lie. I was blind to the truth that my Creator and Heavenly Father loves me unconditionally, and has joy and peace and blessing for me – if only I will love and trust and obey Him. Finally after so many years squandered in prodigal living, God has used thoughts of you to bring me back to Him. Our loving savior has used my anguish over loosing you to draw me near to Him as He pours out his healing grace on my wounds. Angelina, I have been choosing death for so long! God has used you to bring me back – back to Life! When I realized I had no hope of changing on my own, I admitted this to God. I asked him to have mercy on me and to remove my selfishness and replace it with an overwhelming love for Him and for others. He is doing this now! Your life and not been in vain. God has taken this tragedy and used it for good! You must be a beautiful child and my eyes and heart ache to see you. My pain is being replaced with the joy at the thought of the day when I see you. I long for that eternity spent with you and all of my loved ones in heaven, God willing. Give Jesus a warm embrace for me; tell Him that I am so grateful he gave me the gift of your life. Ask him to please save your sisters, your Gramma and Grampa, and the rest of our family so that we can all have banquets together in His presence forever. Oh, what a joy that will be! I have to end this letter now, but my love for you dearest Angelina, will never end. I love you! 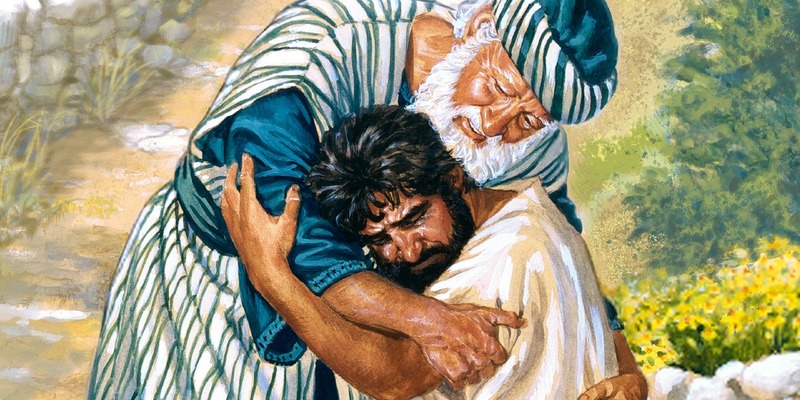 Until I cross the Jordan and see you in the arms of Jesus, I will with God’s strength choose life, moment by moment, and share his truth and love with all of His children. [If you or someone you love is hurting after abortion you can find a list of healing resources in your area here. This entry was posted on Tuesday, November 28th, 2017 at 3:20 pm	and is filed under Uncategorized. You can follow any responses to this entry through the RSS 2.0 feed. You can leave a response, or trackback from your own site.